Getting boys to read poetry can be a bit of a challenge at times. Finding books like this new title can make that job a whole lot easier. 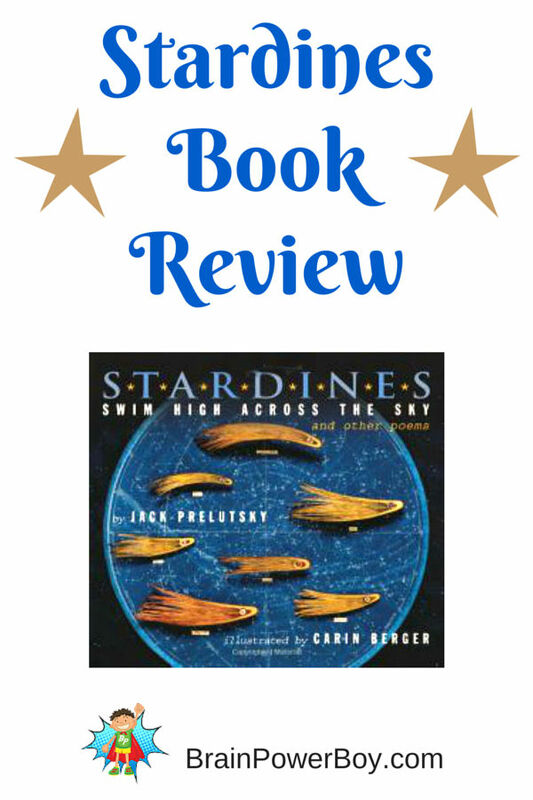 Stardines Swim High Across the Sky and Other Poems, written by Jack Prelutsky, illustrated by Carin Berger is a winner and it happens to be by one of our favorite poets for boys, Jack Prelutsky. See our best books for boys list for other great selections to get boys reading poetry. For boys who love Jack Prelusky, who wrote such greats as A Pizza the Size of the Sun (our personal favorite), there comes another book destined to become a classic among kids. Stardines is a fun book with made up “creatures” that are part real animal and part inanimate. For example you will discover Tattlesnakes, Sobcats, Bluffaloes and Magpipes. One thing that I always love about Mr. Prelustsky’s poems is that he doesn’t dumb things down. He uses great words such as: illuminate, preposterously (I think he really likes that one) frivolity, gaiety, ebullient, and cavort. His poems amuse us every time. Prelusky is joined in this book by illustrator Carin Berger. I am so glad to have discovered her. Her illustrations deserve special mention. They are multi-media type illustrations that are unusual and compelling. 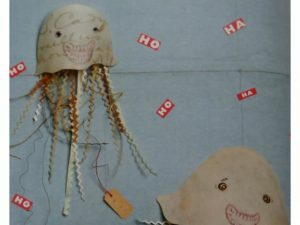 On the copyright page of Stardines the illustrations are listed as miniature dioramas and assemblages created using combos of a variety of items including vintage engravings, beeswax, paper, wire, etc. 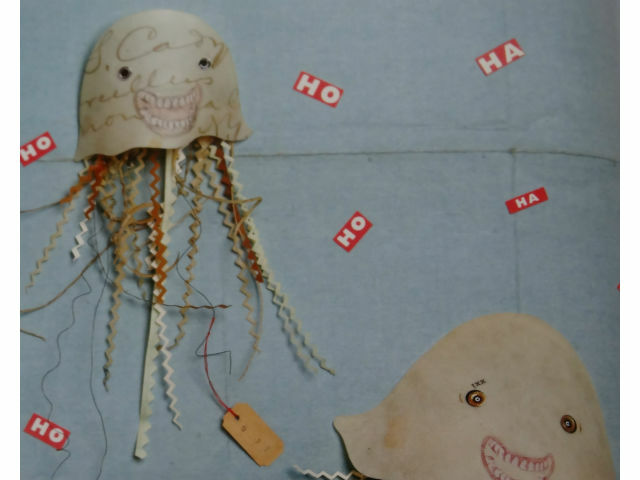 We just might have to create a dioramas soon and we will definitely be on the lookout for more from Carin Berger. Get Stardines for Free: If you would like to listen to this book for free, sign up for a 30 day trial of Audible and receive 2 free audio books. Click Here>>Try Audible and Get Two Free Audiobooks . After you sign up, go here to download your free book . This title is great for poetry lovers, future illustrators and those who like a bit of fun and nonsense. Loved it! p.s. You just HAVE to bring your boy to visit Jack Prelutsky’s website. Really neat.